BULLY, BRAWLER, MERCENARY, SPIES: THE MARVEL UNIVERSE'S HOTTEST TEAM IS HERE! • Domino and her pals Outlaw and Diamondback are caught between warring nations! And it'll take a whole new crew of international women of mystery to sort it out! 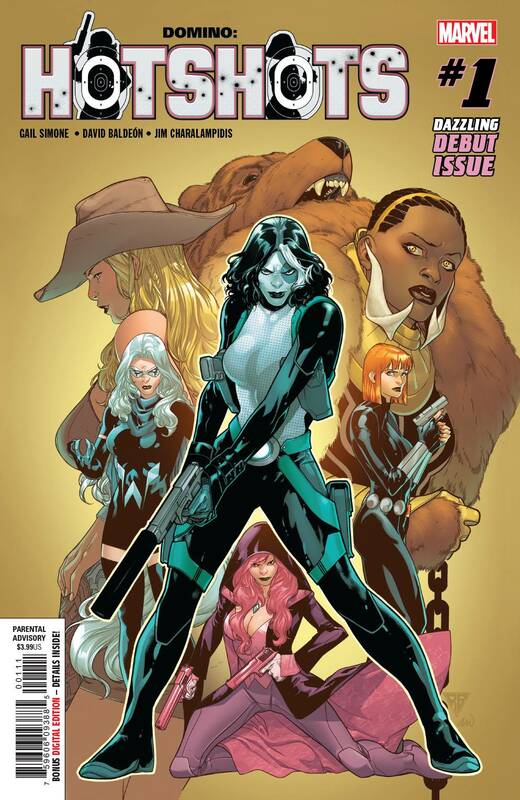 • Featuring the titanic talents of Gail Simone (Birds of Prey) and David Baldeón (Spirits of Vengeance)! Rated T+.